Slowly waking from a drugged sleep, a woman realizes she's not in her own bed but in a closed coffin, lying on top of a cold, reeking dead body. Thuds resonate on the lidâ€"dirt and stones being shoveled on top "bringing the sure knowledge she's being buried alive. From this bone-chilling, if melodramatic, opening image, Jackson skillfully crafts a horrific thriller about an elusive serial killer dubbed The Grave Robber. Seeing the high-profile murders as her ticket out of small-town Savannah, ambitious reporter Nikki Gillette latches onto the case and onto lead investigator Pierce Reed. Tough-guy police detective Pierce initially sees Nikki's dogged investigations as a mere irritantâ€"until evidence turns up indicating that the killer may see Nikki as his prey. Meanwhile, tension and unease mount for Nikki as secret ties among the attractive Pierce, whom she may be falling for, the killer and the victims start coming to light. 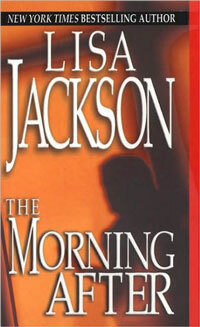 As in Jackson's previous offering, The Night Before, this psychological thriller has a beautifully conceived plot full of unexpected twists and provocative misleads, as well as sophisticated character development. Not even the sadistic murderer is one-dimensionally evil, and the protagonists display delicious depths.